In similar vein as Victor Frankl’s paradigm shifting book, “Unbroken” is a fascinating and mind-bending narrative that will change the way you think about everything – forever. It’s a tale of unbridled optimism, unshakeable belief, and remarkable courage. A ground-breaking work along the lines of ‘Man’s Search for Meaning’. It is the life story of Louis Zamperini, a typical teenage troublemaker who discovers his hidden talent for long distance running and dreams of Olympic glory, or even breaking the 4 minute mile – before World War 2 breaks, wafting him along a different path to his destiny. Laura Hillenbrand’s gripping narrative is of a style and class that’s rare and precious. These were thoughts that ran through my mind today as I drove back home from the funeral of a colleague who worked with me for a little over ten years, treating little kids with congenital heart defects. Your time management worksheet can be a powerful tool in planning your day and focusing your attention, if you learn to use it correctly. One of the most effective time management techniques is to pick your 6 top tasks for the day and get them done without distractions or delays. A worksheet can help you achieve this goal consistently and without stress. As Napoleon Hill famously said, “If you don’t control your thoughts and mind, someone else will.” It applies to time also. Either you decide how to spend your time, or others will do it for you. And one of the best ways you can take control of your work day is to have a time management worksheet that you fill up and follow regularly. When your focus is intense and laser-like, you get more things done. That isn’t the difficult part. It’s identifying the core areas in which you must focus for the greatest impact over the long term. Sure, something might sound urgent and important at the moment. But when you think about it later, after you’ve wasted fruitless hours putting out the fire, you’ll realize it hasn’t taken you closer to your goal! That’s where a time management worksheet comes in handy. By forcing you to consciously allot time to the most relevant and important areas in your life, it ensures that you will be working on areas that matter – and ignore the rest. To enhance and refine your focus, you may tune out distractions like the phone and email. But without a proper guide to nudge you along the right path, the time you saved on one activity will only be wasted on another. Making a list of your important tasks and assigning them a priority based on how they compare against others on the list is a core essential of the Time Management Tao approach. It keeps you stress-free and oriented as you navigate the busy waters of your typical day. The key component to making this work is limiting the items on your ‘must do’ list to no more than 6 things. In your time management worksheet, assign specific periods for competing these 6 activities alone, and you’ll be well along the path to greater efficiency and less stress. Look at your daily to-do list, which has already been organized by priority. Take the 6 most important items on this list and draw up an estimate of how long it will take to get them done. Your top 6 tasks shouldn’t take up more than 6 hours, if you are to have a fair shot at getting them done. That’s because there will inevitably be some unexpected emergencies or time wasters that crop up in the course of your day. You’ll have to make allowance for them, and still have six hours to focus on your top tasks. Once you’ve drawn up this estimate, insert them into your time management worksheet which will allot specific time slots for each item. For more complex tasks or projects, you may assign multiple slots at different times of the day. For example, if you need to get feedback or further information from someone before you can proceed on a task, then slot in the first action of asking for those details in the morning, and then block out a chunk of time later in the day for completing the work once you have what you need. While even occasional use of a time management worksheet can create remarkable results, the real power of managing your time using this tool comes when you make it a part of your system that you follow regularly. It takes time and discipline to make it a habit, but the results are well worth the effort. When you plan your following day every evening at the end of your work day, fill up your time management worksheet with relevant notes – but keep it flexible enough to adapt to the evolving needs of your day. If some pressing task crops up that requires your attention, keep enough time available to handle it without compromising on your most important activities. We dive deeper into these issues in the Ming Vase Time Management series of guides, and you can also receive tips about saving time and boosting your efficiency by subscribing to our free email newsletter – the “Time Taozine” – just fill in the simple registration form below. To learn time management skills, you should think about it like taking a long trip. Just as you’ll enjoy some lovely views, experience some setbacks and risks, even encounter an adventure or two along the way, you’ll find it a rough, uneven path to learn time management. No matter what you learn, or who teaches you, it eventually boils down to whether or not you are serious about managing your time, and how much effort you will put into practice. Once you are aware of how you use your time, and know about setting priorities, focusing on important work, and getting things done, you will be on the fast track to time management success. Many students, managers and employees learn time management to grow in their career, develop good habits, and enjoy financial rewards from better managing their time. They have found a strategy helpful in internalizing whatever they learned. First, study new time management concepts. Second, practice it in day to day life. Third, repeat the process for a new skill or technique. Here are some time management ideas you can start to work with. Planning your day by assigning blocks of time for specific activities can be very helpful. For instance, you might set aside an hour every evening after you return from school, college or work, during which you will carry out one of the important tasks on your list. That time should not be wasted on anything else. It is a sacred promise you make to yourself. And keeping that promise takes highest priority in your life. You will soon make it a helpful habit, and by setting yourself blocks during which to tackle specific activities, you’ll grow in efficiency. Distractions and interruptions can derail your best laid plans. It is important to have a place that is free from distraction, where people know not to disturb you. It may be at home, in the office, or even somewhere else. Just make sure not to allow anyone to interrupt you while you work on your tasks. A weekly audit of your activities will quickly reveal whether or not you are staying on track. 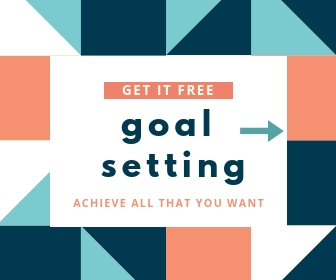 As you learn time management and master new tricks and tweaks, you might get off target trying to implement everything, and fall behind on reaching your goals. A review of progress every week or so can show you where you need to focus and can get you back on track quickly. Starting with the biggest, hardest or most time consuming task is a way to ensure that you’ll deal with it when you’re fresh. But make sure that what you address is really important to your overall goals. You’ll have to stay flexible enough to allow for unexpected events in your day, but by setting priorities correctly, you’ll ensure that the most important tasks get done anyway. It can be frustrating to learn time management, especially when you find it takes away from some entertainment and relaxation. When friends and family go off to have fun, it can be hard to turn down their invitation to concentrate on important work. But only if you postpone unnecessary activities will you ever be able to get what matters done. When I built my first website in 1995 on Geocities, it was about a subject I was passionate. Congenital heart defects. In a month, on average, the site had 8 visitors. I didn’t care. Mine was a labor of love. A talent scout for About.com (then The Mining Company) found me, invited me to write for About.com’s heart disease section, and I was soon making what seemed like a royal income for a post-grad in India. It was a similar story with blogging. Every day, several remarkable things cross my desk, my mind and my computer screen. Hilariously funny things. Shockingly outrageous ones. Wildly profitable stuff. Or just simply curious. It was – and still is – a hodge-podge of things I find interesting. The blog has raised a lot in donations for congenital heart defects through an annual Heart Kids Blogathon. Not just that, along the way both online assets have established my brand, created a degree of authority and given me extensive reach among an audience I want to speak to. It has given me influence. And that’s because the assets were built with passion. There are many stories like this. I read about Don Vandervort’s “Home Tips” on Guy Kawasaki’s ‘How To Change The World’ blog. Starting in his son’s tree-house, Don’s site won Google’s ‘Adsense Story Contest’. I cringe when I hear newbies being advised to start out with cold-blooded calculations of niche profitability, audience metrics and other ‘marketing speak’ – with scarcely any consideration to what matters most… their PASSION. That’s what will keep burning, simmering or smoldering, and make you stick with whatever you do. That’s the unique ingredient no one else can mimic, copy or replicate, making you and your work distinct. That’s the ‘secret recipe’ that virtually guarantees that you’ll end up with influence and retain the attention of your audience. Think about it before you go any further.